Alec Baldwin and Cate Blanchett have responded to Dylan Farrow's open letter, in which she accused her adoptive stepfather, Woody Allen, of sexually assaulting her. 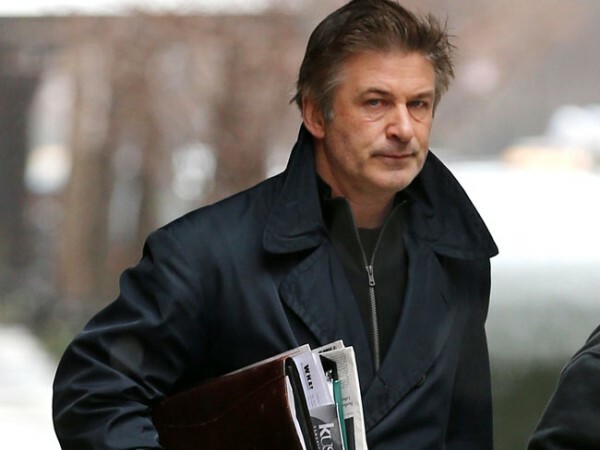 Alec Baldwin and Cate Blanchett have responded to Dylan Farrow's open letter. The director's 28-year-old adopted daughter published a letter in the New York Times on Saturday in which she accused her adoptive father, Woody Allen, of sexually assaulting her when she was seven. The letter also asked various actors who had worked with Woody - including Alec and Cate - how they would feel if it was their child. Responding to a fan asking if he felt he should apologise to Dylan, Alec - who has daughters Ireland, (18) and Carmen, five months - wrote on Twitter: "What the f&@% is wrong w u that u think we all need to b commenting on this family's personal struggle? "You are mistaken if you think there is a place for me, or any outsider, in this family's issue. (sic)"
Cate - mother to Román (9), Ignatius (5) and Dashiell (12) - also said she hopes Allen and the Farrow family can resolve their situation privately. She told journalist Jeffrey Wells: "It's obviously been a long and painful situation for the family and I hope they find some sort of resolution and peace." Woody - who was first alleged to have sexually assaulted Dylan in 1993 - has always maintained his innocence and never been prosecuted. He has yet to respond to Dylan's allegations.